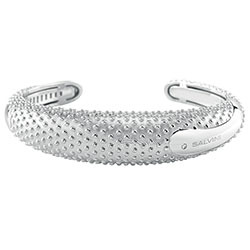 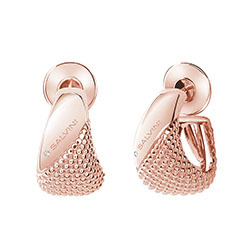 The language of design provides the best expression of contemporary jewellery. The lines of the Bold collection are reminiscent of rocks whose sharp edges have been smoothed away by the water, flat and finely chiselled surfaces embellished with perfectly smooth details in a fine new 3D form with a wonderful texture. 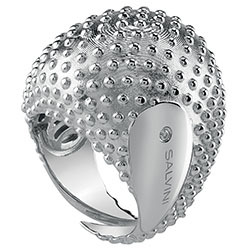 Salvini gives women of all ages the gift of a collection bursting with character that can be worn at all times of day: rings, bangles and earrings in natural silver or silver with a refined rose finish.